If you have ever bought a new car, you will be familiar with the unforgettable sense of clean and newness associated with that all-important ‘new car smell’ of your vehicle interior. Did you know, however, that it is possible to re-experience such a level of newness, even in an older vehicle? Contrary to popular belief, ‘new car smell’ has nothing to do with leftover chemical fragrances and/or detergents used during the vehicle manufacturing process. In fact, ‘new car smell’ is actually pumped into cars fresh off the production line, specifically in order to eliminate odors which might linger after fitting and detailing of cabin interiors. What is Ozone & Why is it used in Professional Vehicle Detailing? Ozone is an inorganic gas called Trioxygen, one which as its namesake suggests, makes up the Ozone Layer which surrounds the Earth itself. What many people don’t realize, however, is that Ozone is also an ultimately destructive gas. In fact, even rubber, plastic, and upholstery will degrade if exposed to Ozone for a prolonged period of time. Car Ozone Treatment, in this case, is a fantastic way to completely banish odors entirely from vehicle interiors. Ozone treatment for car and other motor vehicles works by pumping Ozone from an Ozone gas generator into an otherwise sealed car cabin. Doors and windows are closed and the area where an Ozone gas duct enters is itself sealed using duct tape. After being switched on, Ozone generator units are then run for up to 2 hours, during which time pure Ozone is pumped into a car cabin and will start eliminating any and all unwanted odors. Can a Car Ozone Treatment Remove Absolutely any Odor? When people think of odor removal, they often think of air purification devices and different detergents which they know can mask bad smells effectively. Ozone generation, however, doesn’t mask, or filter out smells. Because of the destructive nature of Ozone, pumped in gas effectively eliminates odor by destroying odor particulates, even when these are as small as microscopic cigarette smoke particles infused into car cabin upholstery. Ozone, in short, is the one and only way to ever completely remove any kind of odor from anywhere permanently. What should be kept in mind, however, is that the physical source of an odor (like a bulb of garlic) must be removed prior to treatment. If not, an odor will eventually return and last until the process is repeated over. 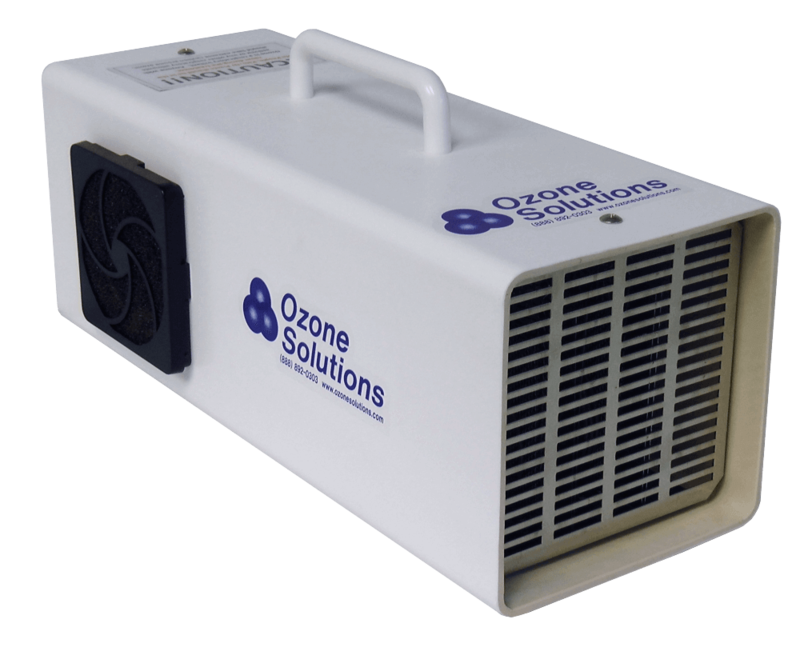 When Should You Invest in Ozone Odor Removal? As a rule, operators of hire car and luxury vehicle for hire services should invest in professional Ozone odor removal at least every eight weeks. Ozone gas itself will start to break down and dissipate after just 30 minutes. This being the case, odor removal only takes place once and if vehicle operators want to keep hire cars and luxury vehicles odor free, they will need to invest in an Ozone treatment just as regularly as they do routine vehicle detailing. Of course, you might not operate a Toronto hire car company. Instead, you might simply be looking to revitalize a personal vehicle after heavy work or family use. Alternatively, you might be getting a vehicle in Toronto ready to list for sale. In either case, however, a shock car Ozone treatment will always be the only way to remove odors permanently. Your personal comfort is paramount when driving. This being the case, don’t let yourself become distracted or depressed by lingering interior cabin odors. Instead, let us help remove these for you for with an easy and affordable shock car cabin Ozone treatment. Call or contact us today and we’ll eliminate your odor in no time.